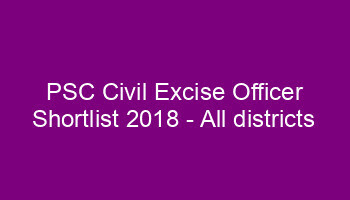 PSC Civil Excise Officer Kozhikode / Wayanad Shortlist Published, Civil Excise Officer Kannur list, Malappuram shortlist, PSC Civil Excise Officer Exam Result, Kozhikode / Wayanad Excise Officer Shortlist 2018, Probability List, Short List of PSC Excise Officer. 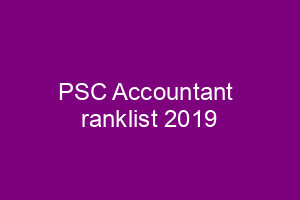 Kerala PSC Civil Excise Officer Short List 2018 of Kozhikode / Wayanad district Published Today at www.keralapsc.gov.in : Cou off marks is Kozhikkode : 48.33 Marks and wayanad is 39 marks. 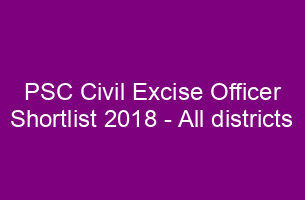 Kerala PSC has conducted the Civil Excise Officer exam on April 1st at 14 districts.